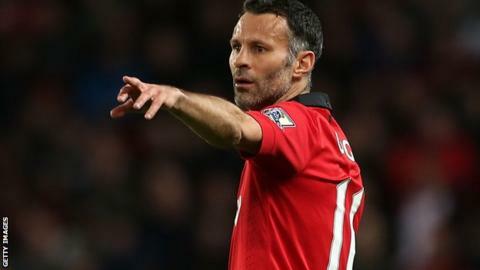 Manchester United interim manager Ryan Giggs says he is not disappointed to have been overlooked for the role on a permanent basis. Netherlands boss Louis van Gaal, who wants the job, is expected to be named as David Moyes's successor. "With all the things going on, whether to carry on playing or not, there are a lot of things to consider," said Giggs. "This experience has definitely helped me, I have loved it, but there is no major disappointment." The 40-year-old was put in charge at Old Trafford after Moyes was sacked in April. But Giggs, United's most decorated player with 34 trophies to his name, has yet to decide if he will continue his playing career next season. "It will depend on if the new manager wants me," said the former Wales midfielder. "Do I want to put my body through another year of eating the right things, the discipline, another pre-season? "Do I want to go out still enjoying it and not go on a year too long. These are all the things I have to consider." Giggs came off the bench in Tuesday's 3-1 win over Hull at Old Trafford to extend his record for most appearances by a United player to 963. "I loved coming on the other night," said Giggs. "I still enjoy training, even though I have not done much of it over the last couple of weeks." United, who are seventh, conclude their season with a Premier League trip to Southampton on Sunday.